The Financial Repression Authority sees the massive government tax grab already quietly underway accelerating in 2016 in most of the developed economies. This ‘grab’ will be a desperate political act driven by underfunded, and in a significant number of cases, unfunded public pension which will unfold at all three levels of government, Federal, State and City /Local government. It will be disguised by different focal emphasis and appear to evolve in an uncoordinated manner – but it will occur! 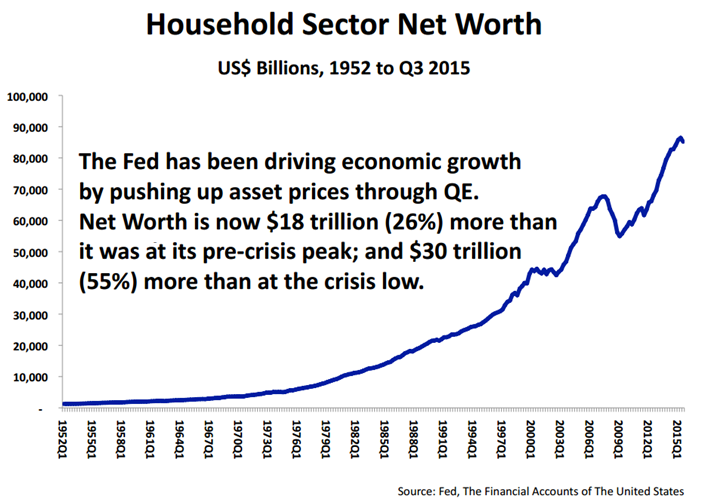 The Wealth Effect is believed by the government to have pushed up taxpayer US Household Net Worth by $30 Trillion or 55% from the Financial Crisis low. The US government is coming after that money! 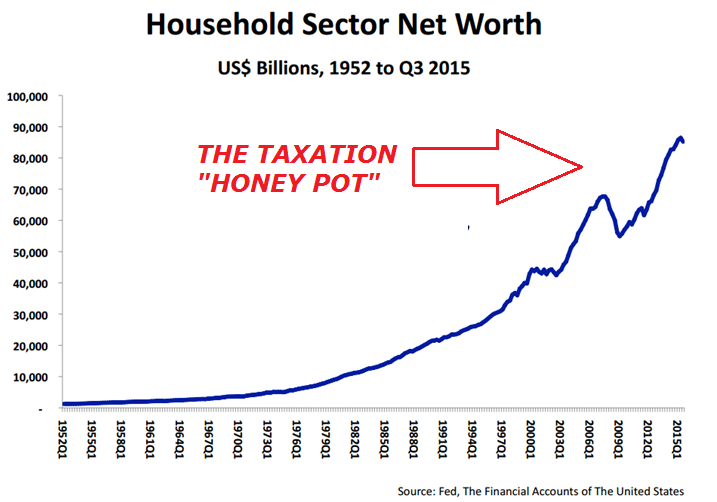 They see it as a “Honey Pot” that can’t be resisted. The following is how the Financial Repression Authority expects the government to undertake this ‘grab’. However, never under estimate the government’s abilities to come up with new schemes to finance its insatiable largesse. Let’s start at the bottom of the political machine by examining what City and Local governments are doing and planning and work ourselves up to the head of this gluttonous and uncontrollable monster. City and Local government have massive problems with underfunded Pension obligations. Costs for road and water services which have not received adequate financing are also coming due. Administrative, police, fire and teachers’ salaries are all relentlessly climbing along with generous benefits which have long ago been jettisoned by the private sector. PROPERTY TAXES will increase dramatically. Chicago and New Jersey property taxes have reached the point where people are being forced to relocate. Pensioners on fixed income are being forced to take out reverse mortgages to pay property taxes and keep their homes. Residential property taxes in many areas are routinely $15-22,000 on what would be considered the standard home in the area. FINES are on the rise as Police departments for example are increasingly expected to achieve income to match expenses where cities such as New York employ “revenue generating ticketing’ or where Virginia issued 6996 traffic tickets in one weekend in an effort to raise revenues for the state government. The Investigative Reporting Program at UC Berkeley with California Watch discovered that impounds at “sobriety” checkpoints in 2009 alone generat ed approximately 40 million dollars in towing fees and police fines. 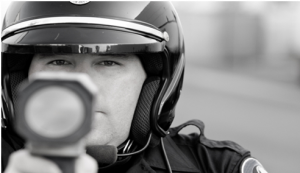 “Red-Light cameras” have become huge revenue raising tools in many areas of the country. In Los Angeles, revenue from red-light cameras has doubled from $200,000 a month in 2007 to $400,000 a month at the end of 2009. Expenses are accelerating due to Federal expectations of preparedness for the War on Terror and the epidemic levels of horrific Public Shootings. The police and first responders have an increasing fiduciary responsibility, however the funding is not coming with it. The Daily Bell (Local Government Larceny) & NY Times ( ‘Black Lives Matter’) recently both explored the link between the need for local municipalities to generate revenue in the face of rising pension fund needs & budgetary pressures, with the increase in numbers of interactions creating frictions & “Ferguson Missouri” type outcomes. EMERGENCY SERVICES are on the rise in a major way. An ambulance call to a private residence can easily be $4-5K. These costs are often not covered by medical insurance as they are seen as public services or matters of policy deductibles. The tax payer is caught between the two and the squabble results in crippling costs to the unprepared tax payer. USAGES FEES in schools are nothing new to already financially strapped parents, but worse is to come. Fees for extracurricular activities and equipment has been in place for awhile now but are rising significantly. Parents are forced to take out loans when their young student makes the regional, state or national levels of competition because of the costs the parent are expected to saddle. There is nothing any longer in the school system that is not being billed to the parent for and this will only increase. Parents have no choice. INSPECTION FEES are yet another example of how public services are being billed. From Building inspectors to almost any form of government compliance officer is now billing some or all of their activity to the public. These fees seem like “token amounts’ but are becoming areas of new found revenue. Police, and EMS’ “detail’ availability for construction activity and special events are all now routinely billed to the organizations involved and are becoming major construction expenses. These costs must obviously be passed on and are nothing more than a “stealth taxes” to the unsuspecting public. The list is much more extensive than we are showing here and would take up too much space to show the forms that “new taxation” techniques are taking. In New England for example many towns are now offering nominal tax rebates for seniors and unemployed who volunteer to do community service work that was previously provided by town workers. Some would suggest this is a tax savings but in reality it is taxpayers doing work for the town for free when previously it was part of their local tax (which has only increased even with the rebate). Is this not in really just another form of taxation? SALES TAX is the purview of state government and it has been increasing in most states. Illinois recently moved the Sales Tax to 6.25% but the real total can be an extraordinary 9.75%. Illinois is not unique and more states can be expected to soon follow their lead. LICENSING is on the rise for almost anything that involves a government approval. With 88,000 pages of Federal bills in 2015 alone, many of these pages require new license fees to be paid. As an example of the degree it has reached, a dog being transported across state lines now requires quarantine and inspection. All of course billable for those even aware of such a law. Mandatory veterinary services (i.e vaccinations) government reporting can result in a new unsuspecting dog owner receiving a fine notification from the state for not having quarantined or had the dog inspected. TOLLS are on the rise to fund badly needed Infrastructure. At first glance this does not seem unreasonable or unexpected. Uproar in Rhode Island recently brought to light the taxation game going on. Monies from the American Recovery and Reinvestment Act of 2009 were given to the state to build a major state bridge. The state then placed a toll on the new bridge. The people fought it in court as “double dipping” and the state was finally forced to back off. As increasingly US public infrastructure is moved to private corporations this is nothing more than taxation in a different fashion as state taxes are not reduced for the gains on the private sales but rather the tax payers only see tolls or fees arise from what was formally covered by their state tax. For those who want to know more they need to study PFIC, FATCA and GATCA, all explained in Financial Repression Authority videos by those in the know. INHERITANCE TAX can be expected to return with a vengeance. With inequality in America so blatant that both Democrat and Republican parties are presently talking about it in their primary campaign rhetoric. The public will likely accept this tax of the “rich”. However the rich will find clever ways around it while the public will simply surrender its greatly reduced life savings which they were hoping their children could use to get themselves out of debt. MEANS TESTING is already gaining significant public “narrative” and so we should fully be prepared for means testing for Medicare and Social Security as the Baby Boomer bulge fully arrives over the next two years. CIVIL FORFEITURE is a major new tax device which allows the government to take people’s property, even if a person has not been charged with a crime. What does it take for law enforcement to take property? Nothing more than a “preponderance of evidence” that the property was connected with criminal activity. Jared Meyer of Economics21 explains: while most people think about forfeiture as taking the property of drug dealers or other criminals, the government has used civil forfeiture to take vast amounts of property from entirely innocent individuals. In 2001, $407 million was seized under civil forfeiture laws; in 2012, a whopping $4.3 billion was seized. From 2001 to 2012, law enforcement has taken $2.5 billion in cash from 62,000 Americans, all without warrants or indictments. When Roderick Daniels was pulled over for going two miles over the speed limit in 2007, police seized $8,500 in cash that he was carrying. Daniels had planned to purchase a car with the money. George Reby was pulled over in Tennessee for speeding and had $22,000 taken from him by a police officer. Again, Reby intended to purchase a car with the money. When small business owner Carole Hinders made multiple cash deposits of less than $10,000 into her bank account, the government suspected money laundering and took $33,000 from her. What happens to the seized property, be it cash, cars, jewelry or something else entirely? When the federal government does the seizing, Meyer writes that the funds go to the Department of Justice (DOJ). The DOJ has an Asset Forfeiture Fund, which then distributes the proceeds for various law enforcement needs. In the past few years, Washington DC police officers have made more than 12000 civil asset seizures under city & federal laws. 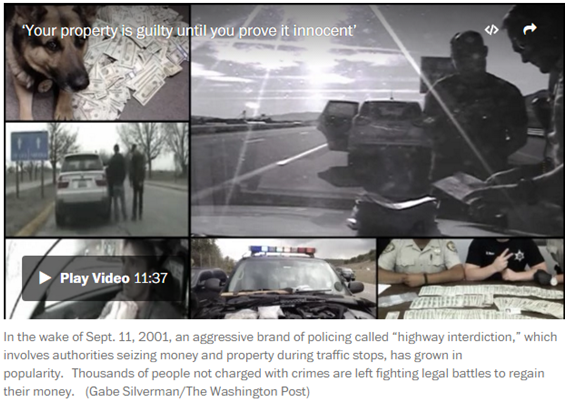 In a “Stop and Seize” investigative series by the Washington Post in November 2014 they cover the fact in their sixth installment that “D.C. police plan for future seizure proceeds years in advance in city budget documents … D.C. police have made plans for millions of dollars in anticipated proceeds from future civil seizures of cash and property, even though federal guidelines say ‘agencies may not commit’ to such spending in advance”. This is happening across America but especially in Texas, Tennessee, Michigan where it was reported that “a town of 150 people called Estelline Texas earns more than 89% of its gross revenues from traffic fines and forfeitures. CAPITAL GAINS TAX has become a strong political talking point after 6 years of unprecedented financial market performance. Political strategists know this must occur before we have the next market draw down. Taxes are 100% payable on Capital gains when they are earned but there is only a $3000 per year cap on write-offs on losses. Effectively the governments only wins and you can only lose on market investments. 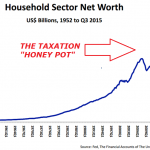 SOCIAL SECURITY TAXATION is something the Baby Boomer generation will soon learn about. They are under the impression they will pay minimal tax on their Social Security. What they don’t know is that over $33,000 in taxable income makes your Social Security payments eligible for a 50% tax. Over $44,000 and your Social Security tax payments become 85%. This has been quietly slipped into the tax code and no doubt will increase going forward. 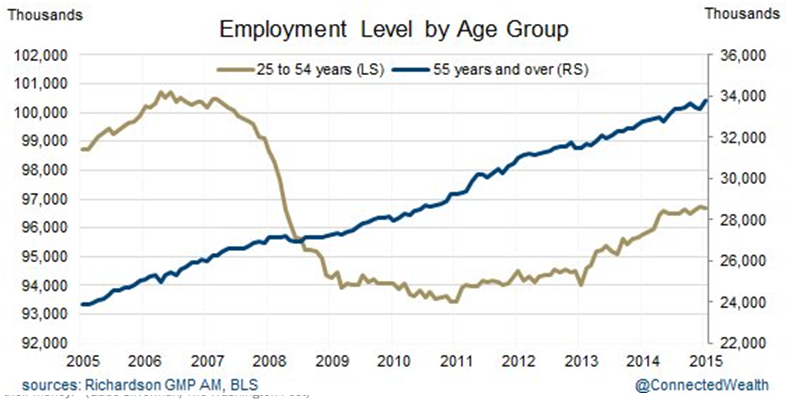 With Social Security indexed by a fictitious CPI, more and more Baby Boomers are required to work. This “extra money will only push them into this increasingly predatory tax position. To have a livable income baby boomers who are be pressured to stay working in greater numbers, may be forced to pay nearly all their Social Security to tax to survive. As you may have read, the costs of fulfilling our pension and healthcare promises to our retired and current employees have soared. As a result, pensions, healthcare and the annual interest due on city bonds (money we borrowed in the past) now consume all tax revenues. Without additional funding, we will have to lay off all current employees and close City Hall, the libraries, the fire and police departments, parks and recreation, and the rest of the city departments. To avoid this, we are asking you to approve increases in fees for use and the sale of new bonds to raise desperately needed funding. A 50% annual increase in city garbage collection fees for the next decade, after which we anticipate an annual increase of 45% until 2096. 2. Building permits for any project under $5,000 will cost a minimum of $5,000. Fees for larger projects will start at $10,000 and rise on a sliding scale based on the value of the project. 3. Homeowners and contractors caught attempting to evade the building permit process will be fined a minimum of $5,000 or 200% of the estimated cost of their project, whichever is higher. 4. All street parking in the city will require an annual parking permit of $1,200 per vehicle per year. 5. Day use of all city parks will now cost $10 per family per day. Reserving BBQ grills and tables will cost $100. 6. Internet and wifi service in the city will be taxed $1,000 annually per household. 7. Residents will be taxed $100 each annually, payable on the first of January, for consuming the city’s air. 8. Parking violations will be increased from $35 per violation to $500 per violation. 9. Asking city staff for information about city regulations will cost $10, payable before the question is asked. 10. All residents will pay a sidewalk usage fee of $100 annually. 11. A hotel tax of 100% of the cost the room will be imposed from January 1, 2016, including private AirBnB rentals of rooms and apartments. 12. Every home-based business must obtain a city business license annually for a sliding-scale fee that starts at $1,000. Anyone caught evading this tax will be jailed as a financial terrorist bent on depriving city employees of their livelihoods. Residents who cannot afford the new fees can deed their homes to the city, and pay rent to live in the home they once owned. BOND A: $30 million to keep the libraries open for two years. BOND B: $30 million to keep City Hall open for two years. BOND C: $30 million to fill the gargantuan potholes in city streets for two years. BOND D: $30 million to keep the city parks open for two years. BOND E: $30 million to keep the city Public Affairs department funded for two years, so they can continue explaining why the city is broke and why it’s such a great place to live. BOND G: $30 million to fund a public-relations campaign for two years extolling the city’s “green initiatives” and selling the city’s potential to global corporations. BOND H: $30 million to fund tax breaks for global corporations that open an office in the city. BOND I: $30 million to fund studies on how to raise more revenues from fees for use. BOND J: $30 million to fund more appeals like this for increased fees for use and the issuance of more bonds to fund everyday city functions. BOND K: $30 million to purchase a surplus M1 Abrams tank for crowd control and to root out financial terrorists depriving the city of the revenue it deserves. With your support, the city managers expect revenues to cover expenses by 2096, assuming the city’s functions have been fully automated and there are only 12 employees left managing the servers. Until then, please support our efforts to grow the city out of its budgetary hole.